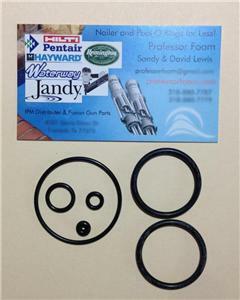 Home» Products» Duo-Fast BB-4440 O-ring O ring Rebuild Repair Kit LOWEST COST! Duo-Fast BB-4440 O-ring O ring Rebuild Repair Kit LOWEST COST! O ring kit to overhaul the Duo-Fast BB-4440 B series Nailers. 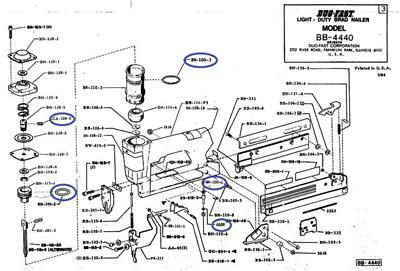 See the diagram, all of the cirled o rings in blue.